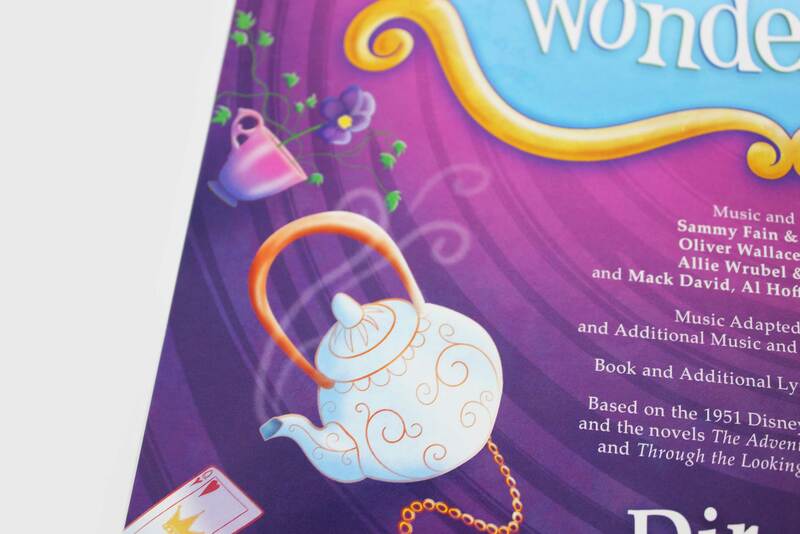 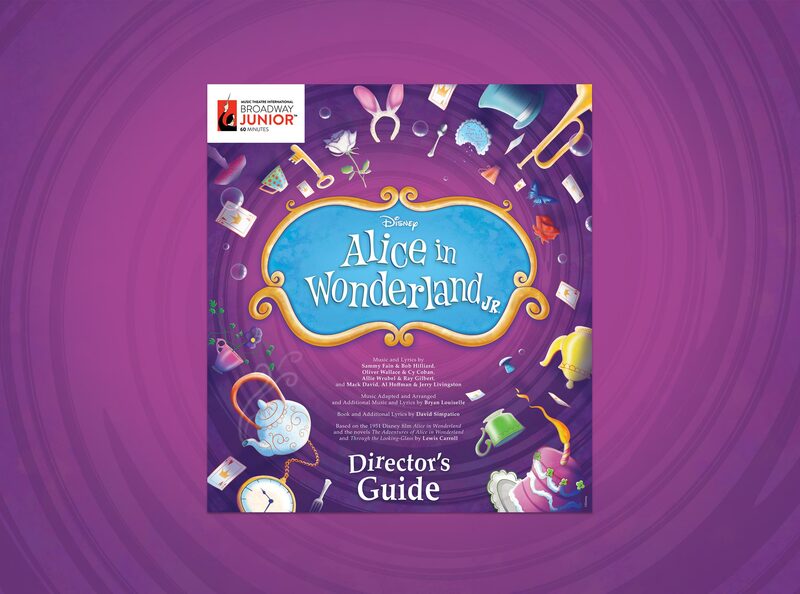 In 2018, I was asked by Disney Theatrical Group to refresh the Alice in Wonderland JR. brand. 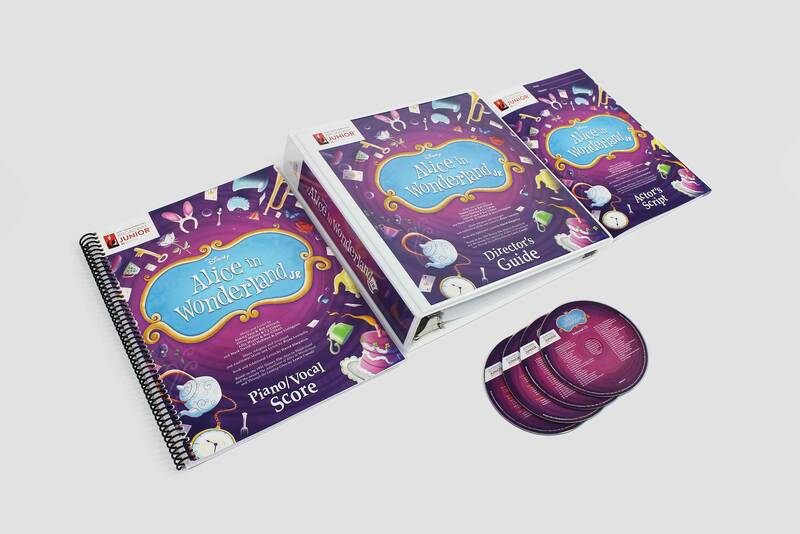 Alice in Wonderland is a program that is developed for schools to introduce the world of theater in the classroom, while providing the tools necessary to produce their very own production of Alice in Wonderland. 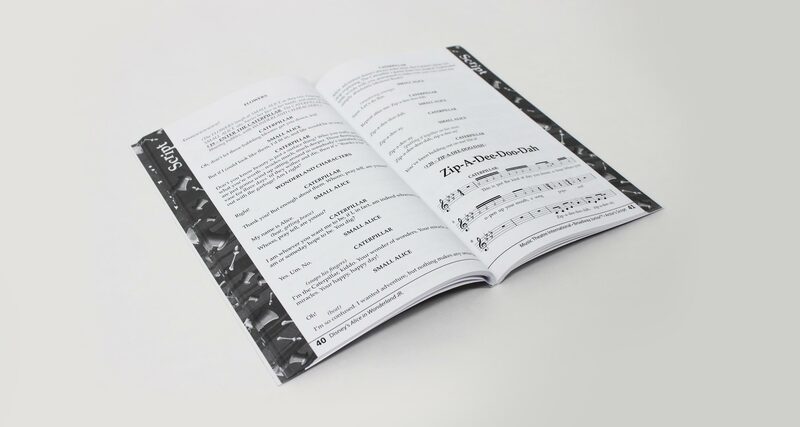 Each ShowKit® includes kid-friendly scripts, a Director's Guide, a piano/vocal score, fully orchestrated rehearsal and performance CDs, a choreography DVD, and a family guide to theater. 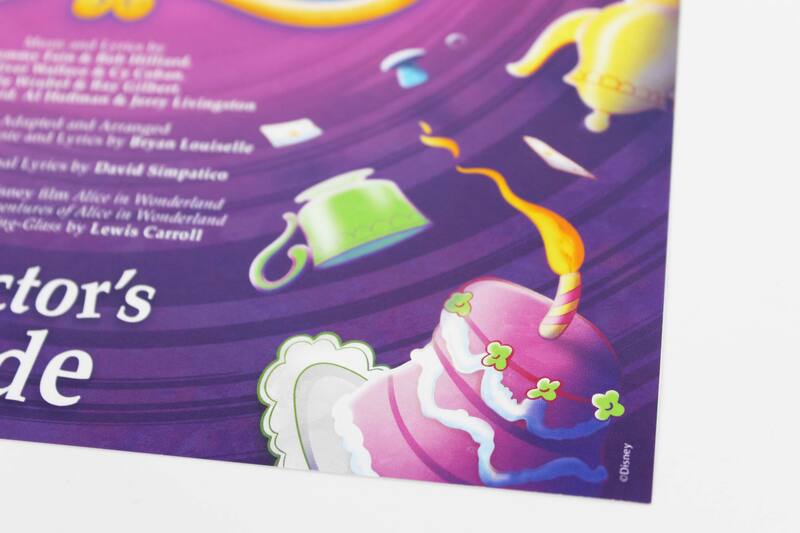 The playful nature of the show provided a perfect platform to design the key art as a fun and colorful “choreographed chaos.” Inspired by the 1951 Disney film, this reimagined artwork tells the story of Alice falling into the rabbit hole, accompanied by several objects and hidden gems from different memorable scenes in the show. 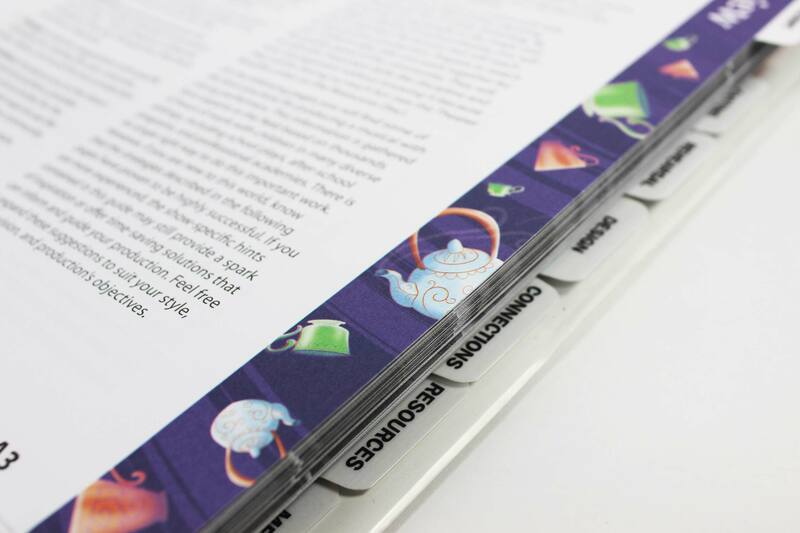 As a way to show additional depth and dynamic movement in the background, I applied a pattern to represent the Cheshire Cat's mysterious stripes.